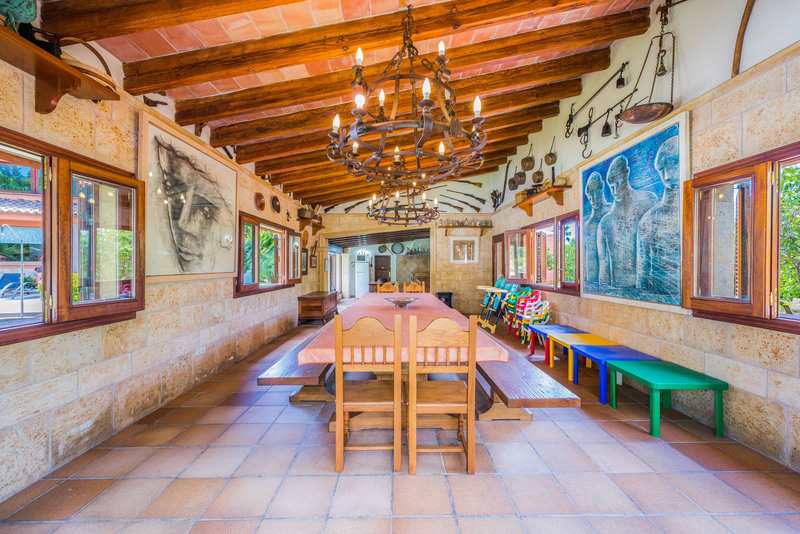 Spectacular 2-storey home located in the countryside of Son Sardina, Palma. 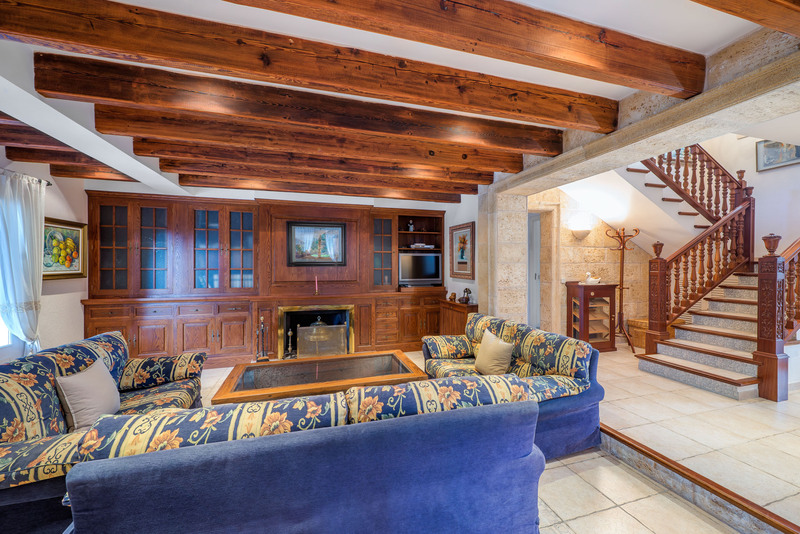 In this property you will enjoy views of the countryside and mountains and it can comfortably accommodate 7 people. 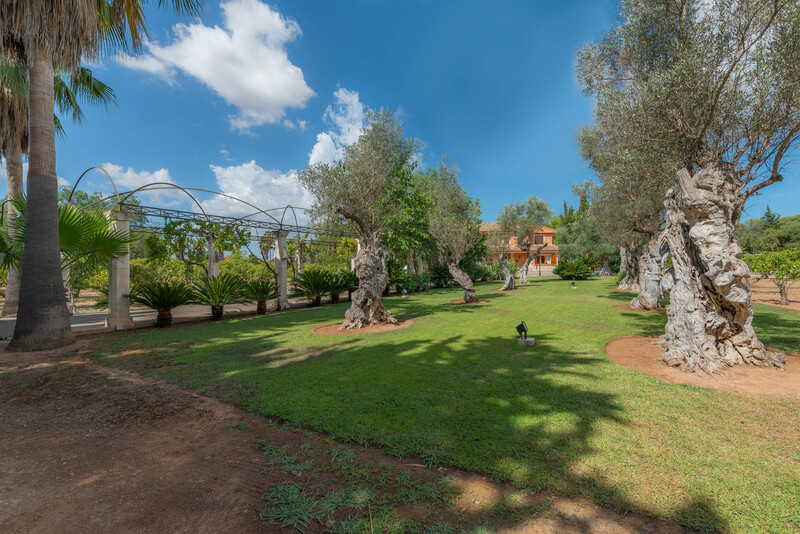 To access the property you will go through a majestic path surrounded by greenery, columns and impressively large olive and palm trees. 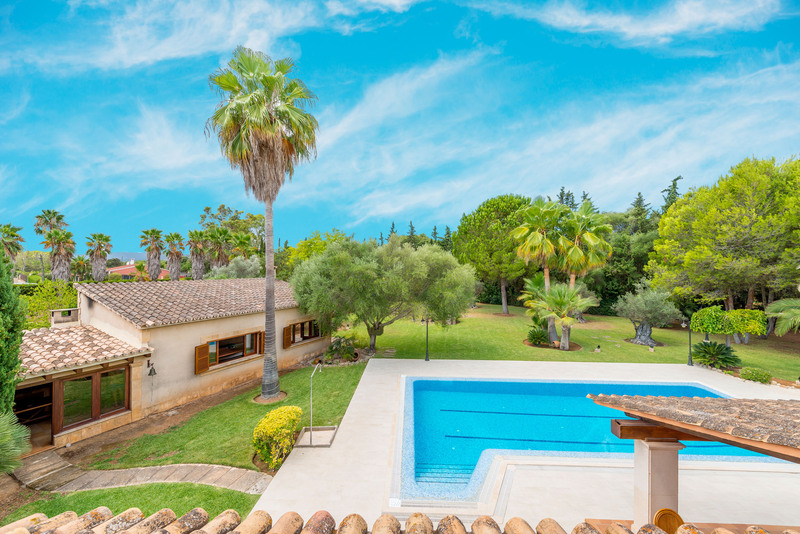 This villa has 1 12x6m chlorine pool, with a depth ranging from 1.2m to 2m. 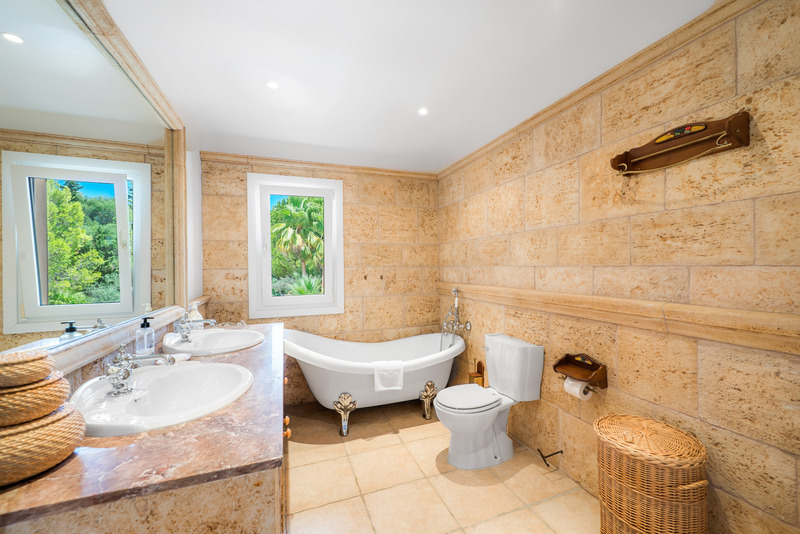 The surrounding area has 1 shower and 5 sunbeds to relax and enjoy the wonderful views. 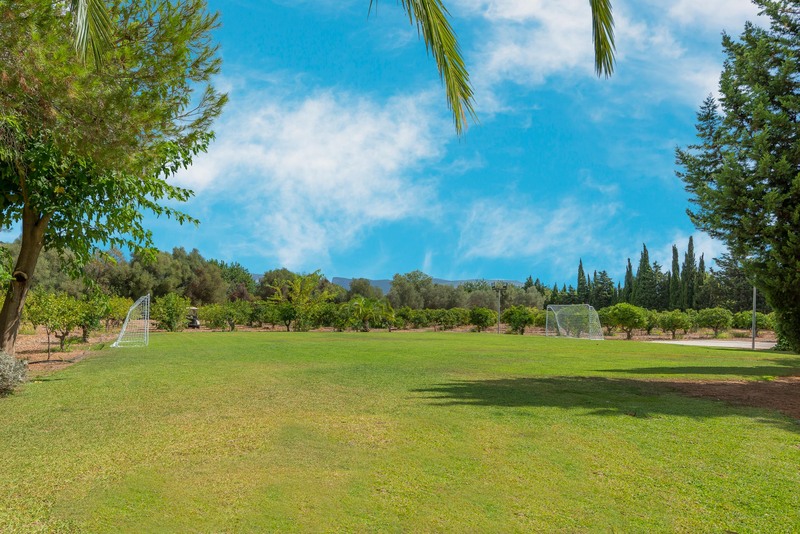 There is 1 250m2 paved area and a 700m2 lawn area where there are fruit trees. 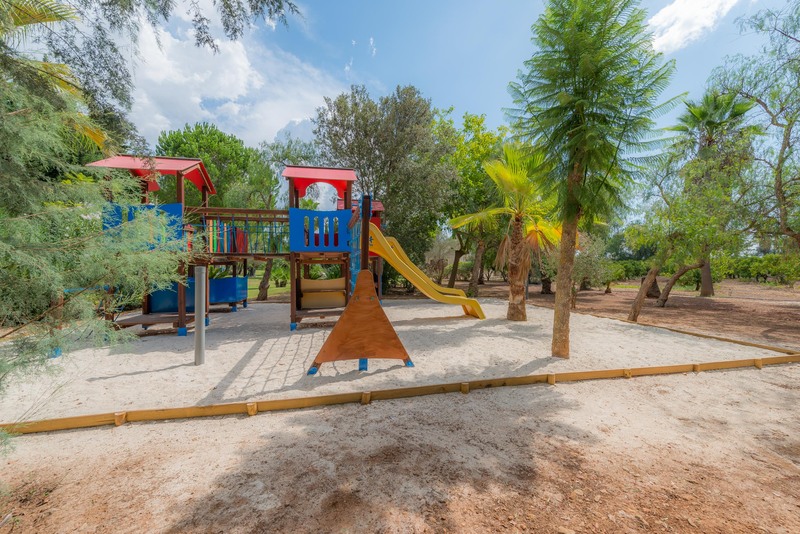 The garden is huge and it also has access to a large playground for the little ones to enjoy their stay100%. 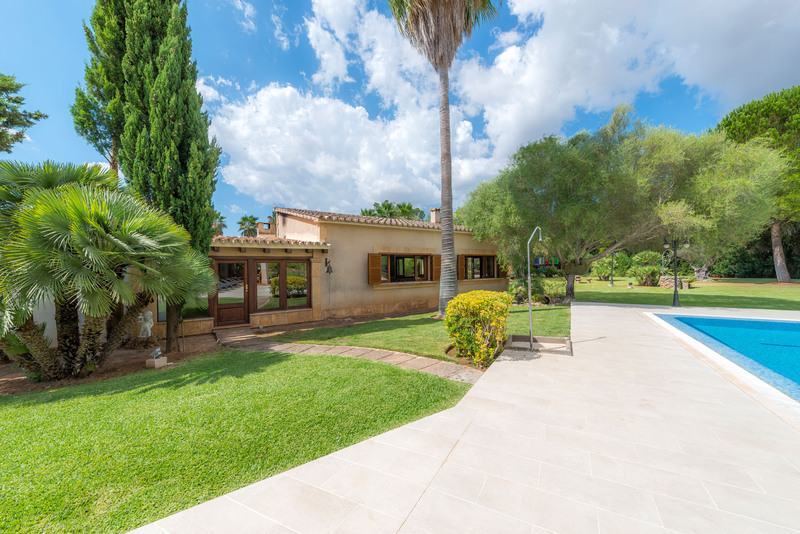 At the rear side of the property, where the pool is located, there is a fantastic 35m2 furnished porch where you can enjoy unforgettable moments with your loved ones. 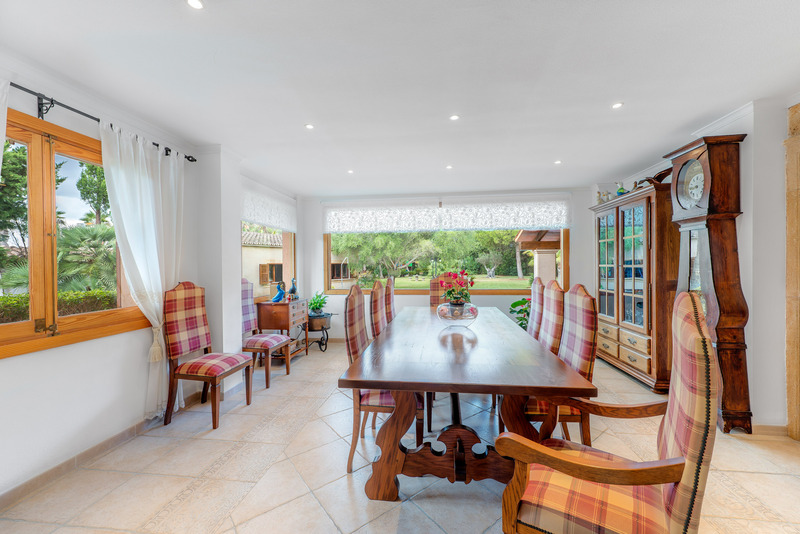 The property features a 70m2 separated building where the fixed and covered barbecue is located and where there is a huge dining room with a wood heater. 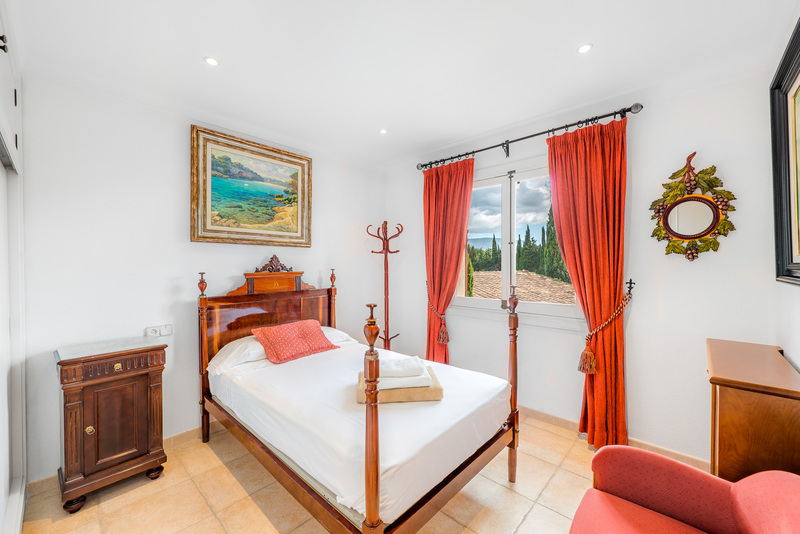 This room features a sink with 1 sink, 1 wood stove, 1 fridge, 1 microwave and 1 barbecue which are ideal; in this room you will be able to enjoy the magnificent garden views through the large windows. 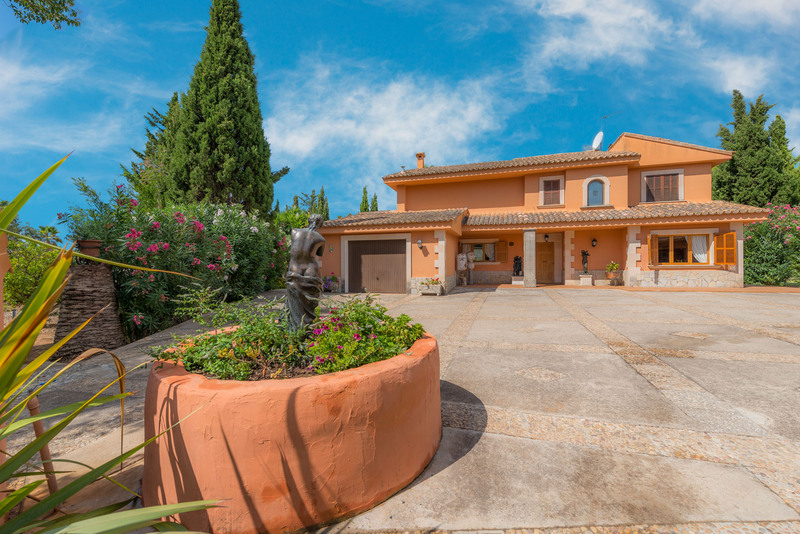 The privacy of this property is total and it has parking space for 5 vehicles. 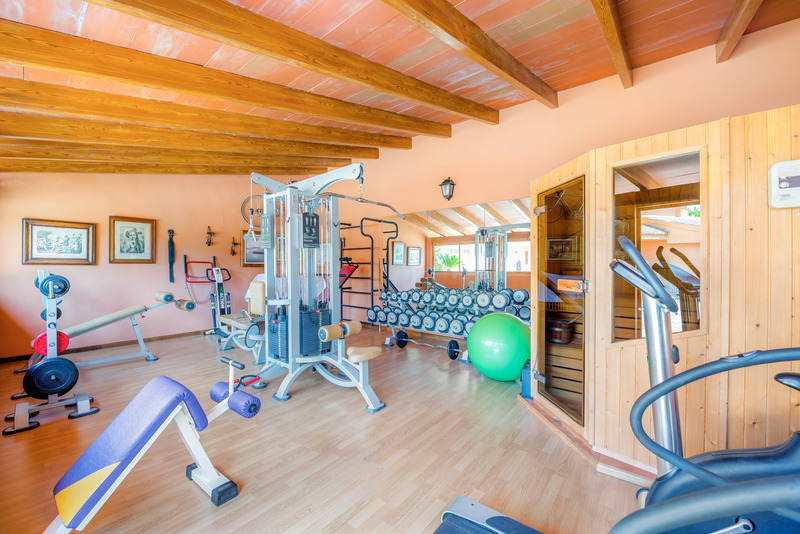 In one of the annexes there is a full 9m2 gym and 1 sauna (if you use the sauna, you must know it has a small additional cost). 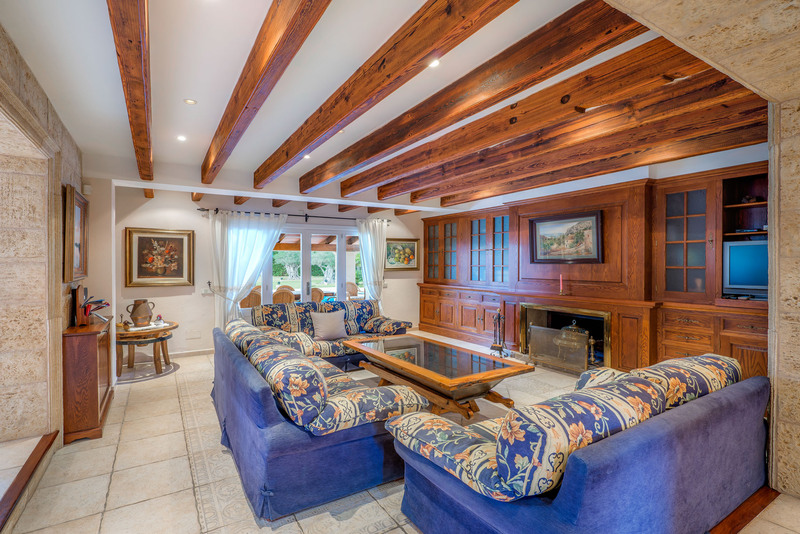 The property’s living room with fireplace offers a space full of comfort where you can relax and unwind watching satellite television, a DVD movie or reading a good book. 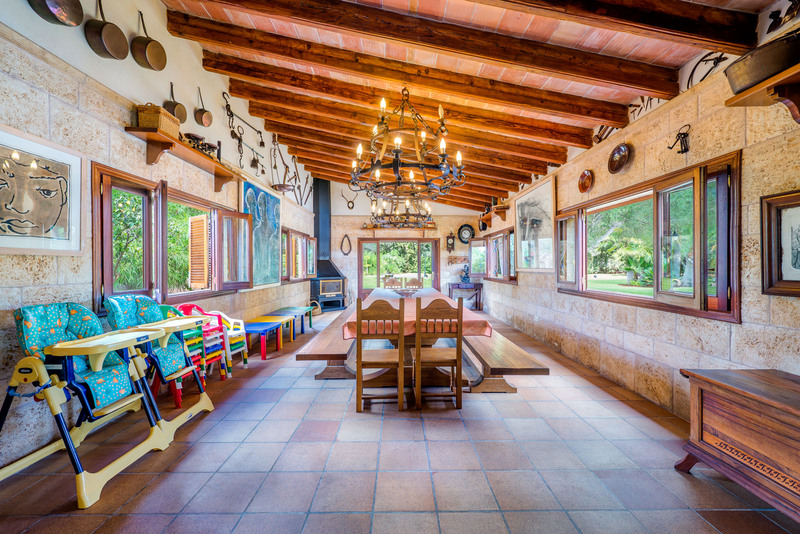 The furnished dining room is independent and offers the perfect place to have lunch or dinner with family and friends. 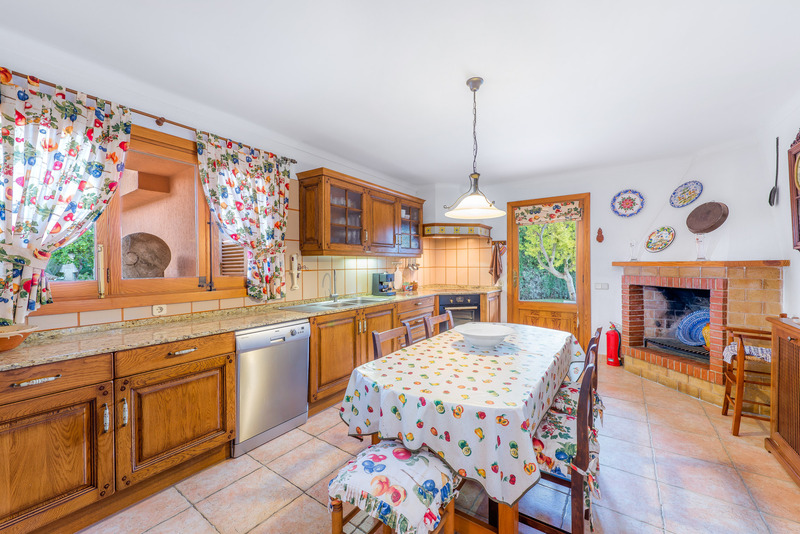 In this fantastic property you may relish even listening to vinyl records because it has a player and several records. 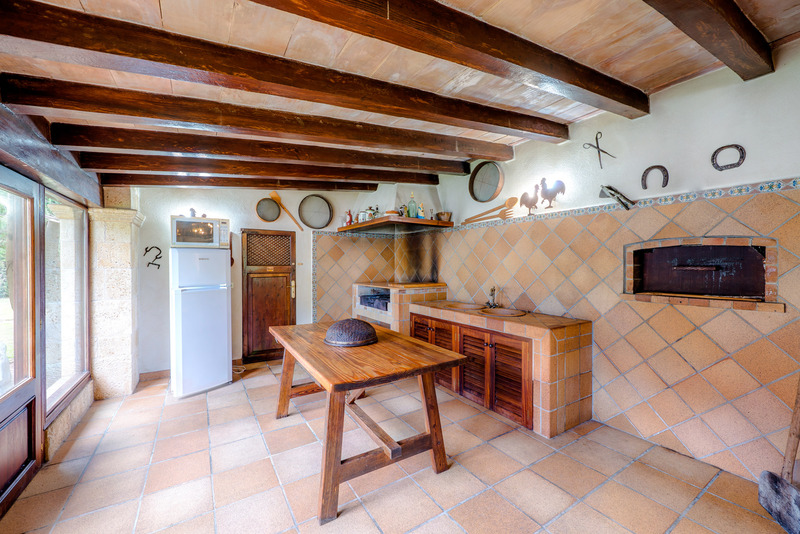 The kitchen with fireplace is very spacious and has everything you need to cook up a feast, including electric stove. The washer of the house is located in the terrace and there is also 1 iron and 1 ironing board. 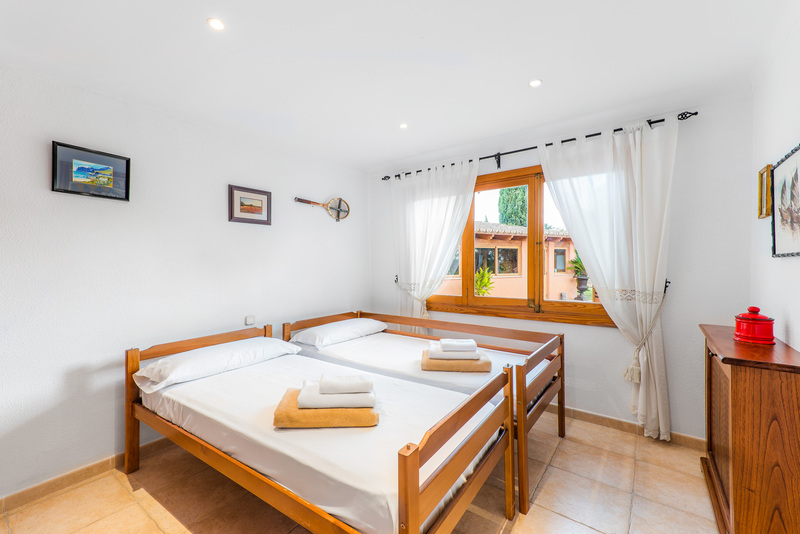 There are a total of 4 bedrooms in the house, 1 with 1 double bed, 2 with 2 single beds (the single beds in the 2nd bedroom are reclining) and 1 with 1 single bed. 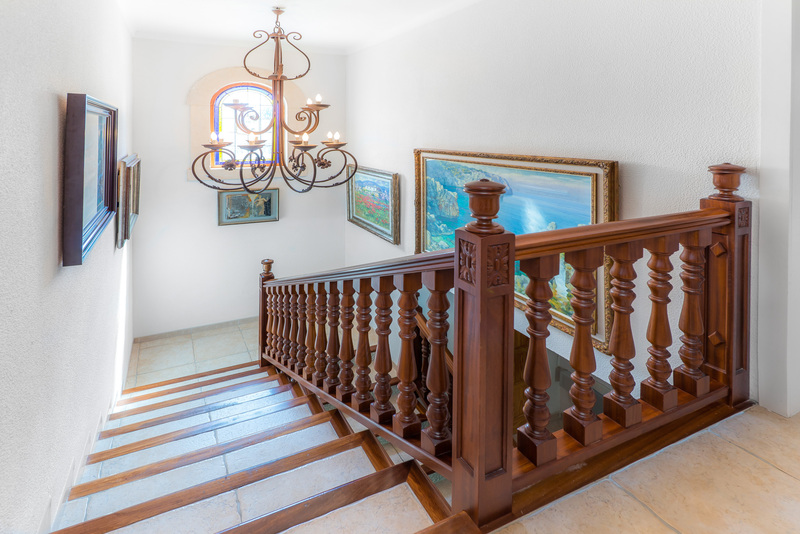 1 of the rooms is located on the ground floor, while the other 3 are on the first floor. 3 of them are air-conditioned, all have wardrobes, and you have access to 1 crib for younger children, in case you need it. 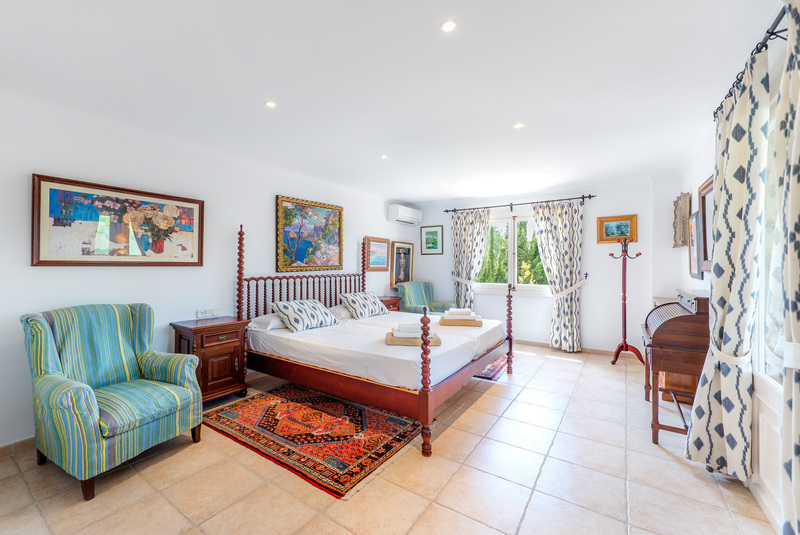 As a whole there is 1 fan, central oil heating and air conditioning in 3 of the bedrooms and dining room. 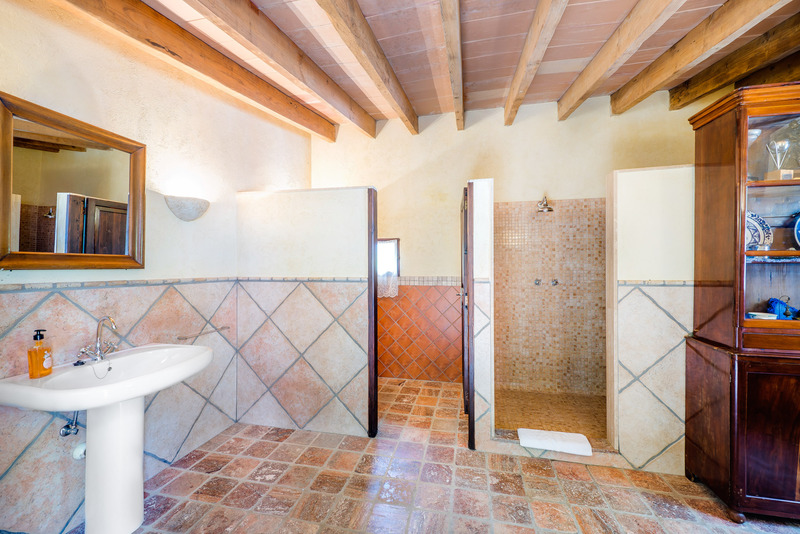 There are 4 bathrooms in the property, 1 washroom on the ground floor, and the other 2 full ones on the first floor, 1 with bathtub and the other in suite with a shower and a hot tub; the 4th bathroom is very spacious, it has a double shower and is located in a separate building which is right behind the barbecue building. 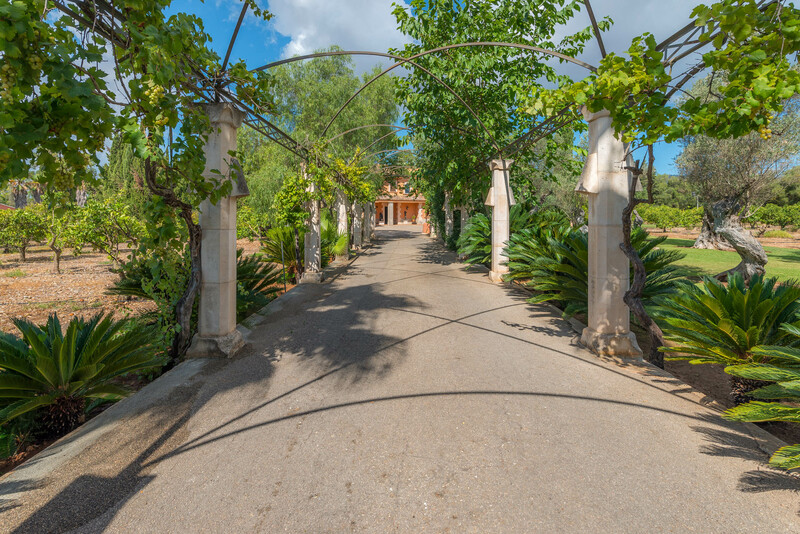 The house is located in Palmanyola, 16 km away from the island's capital, Palma. In the city you have access to all services, attractions and entertainment. 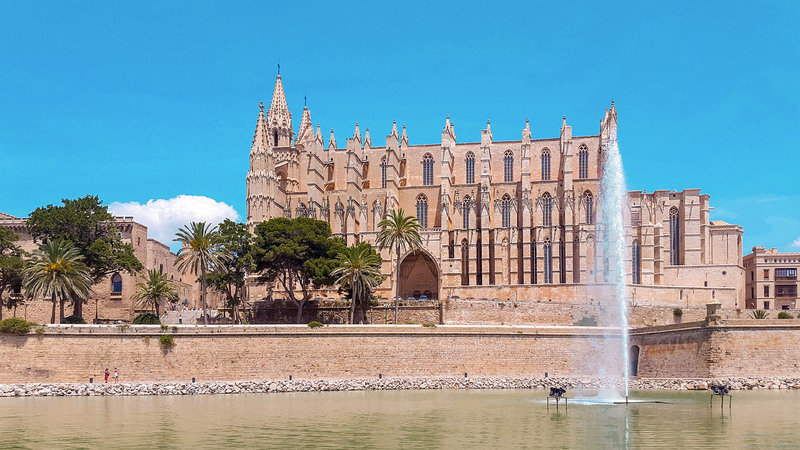 One of the recommended visits is the cathedral one; this unique Gothic style construction is located in the sea front and has the largest Gothic rose window. The property is close to the emblematic restaurant with show Son Amar, one of the best shows of the island. 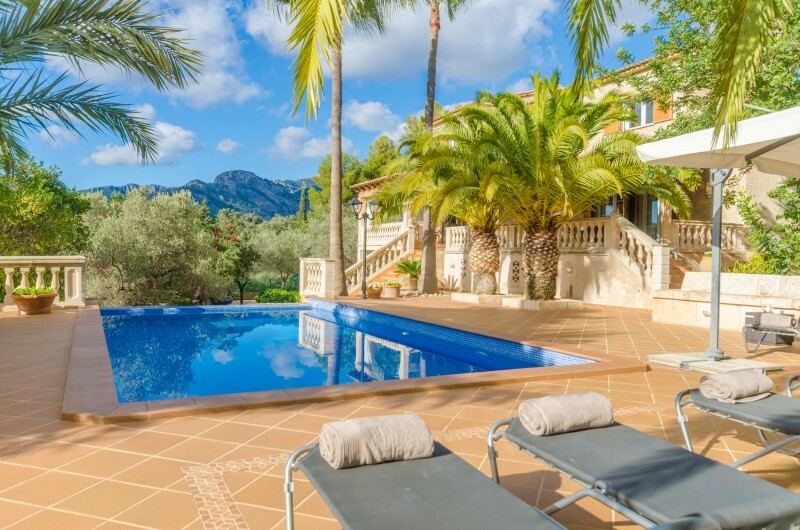 Just 16 km away, you will find the village of Soller. Soller is known for its oranges and for being the cradle of modernism in Mallorca, as well as for its spectacular seafood. Every Saturday morning there is a market where you have access to all kinds of local products. 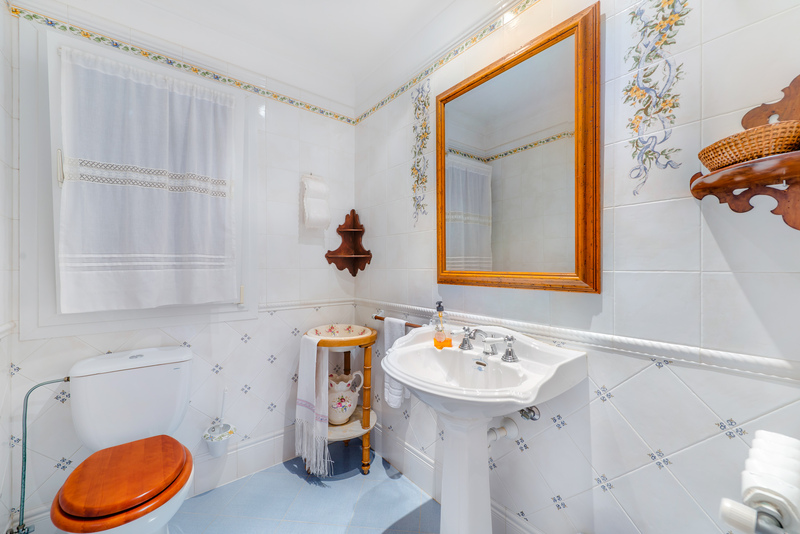 You should also know that there is an early twentieth century train, which is a great tourist attraction, and which runs from the Plaza España of Palma to Sóller and stops at Son Sardina and Buñola.